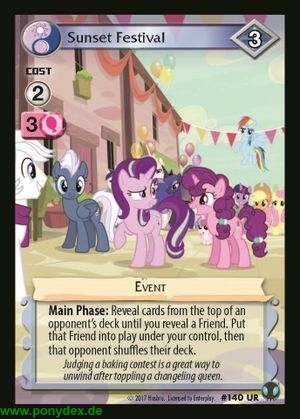 Main Phase: Reveal cards from the top of an opponent's deck until you reveal a Friend. Put that Friend into play under your control, then that opponent shuffles their deck. Judging a baking contest is a great way to unwind after toppling a changeling queen.